Lynden companies are known for providing customers with the latest, most versatile equipment and a hydraulic platform trailer acquired by Alaska West Express last year is proving to be useful for a variety of projects in Alaska. Manufactured by German company Scheuerle, the trailer is built to handle long and heavy loads. According to Alaska West Express President Scott Hicks, the trailer carries the weight over instead of between the axles, requiring less steel to support the load and increasing payload. The trailer was a keystone of Alaska West Express’ recent pipeline project in Alaska (see photo above) and has greatly increased heavy haul capabilities. 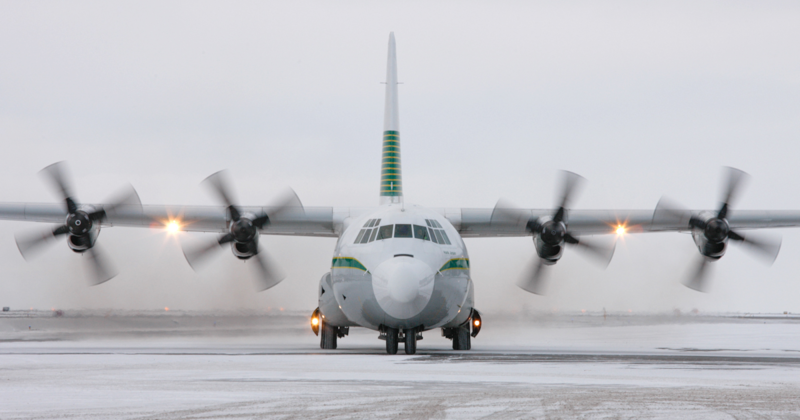 “Besides the 100-ton payload, the manufacturer provides a program to determine estimated axle weights for permitting,” says Steve Willford, Project Manager. By inputting load data, the program calculates the projected load distribution on the axles. 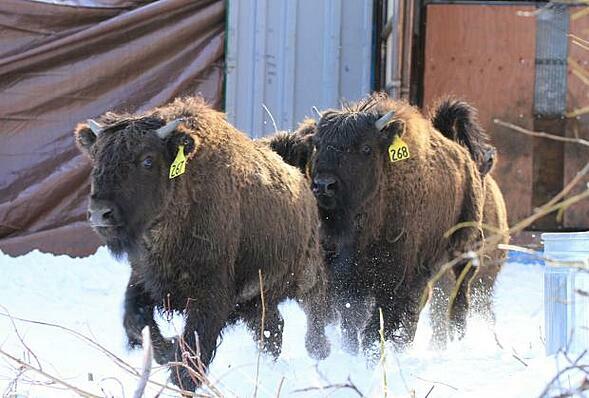 This data can then be submitted to DOT for overweight permits. The program has proven extremely accurate and saves valuable employee time as well as reducing liability. "The trailer hydraulic readings and the program have increased our capability to forecast and increases our confidence that we are exactly within limits for road and bridge crossings with our loads,” Scott says. Alaska West Express drivers and shop and maintenance employees participated in a three-day training program to learn the specialized features of the trailer once it arrived last year. The first load it carried was a survey boat 83 feet long and 23 feet wide from Prudhoe Bay to Anchorage. Alaska West Express and Alaska Marine Lines recently completed a nine-month multimodal move of pipe skids and other freight for an oil pipeline customer. Thirty loads originated at a manufacturer in Bellingham, WA and required marine and surface moves for final delivery to Trans-Alaska Pipeline Pump Station #5 between Deadhorse and Valdez. The pump station is an important relief station to slow the flow of oil as it descends from the Brooks Valley. 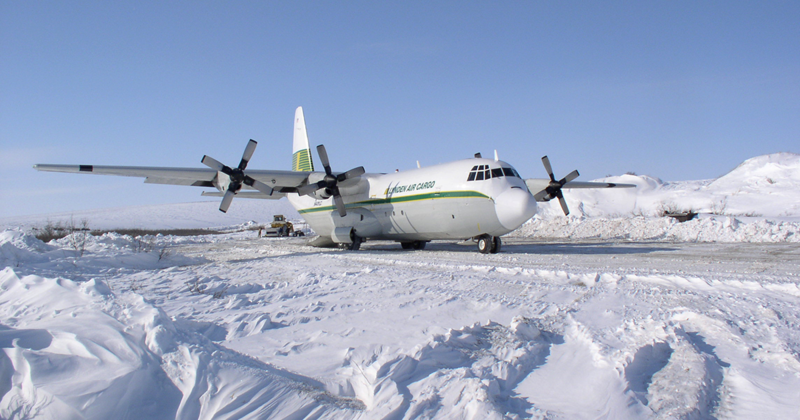 “This project began as a smaller move last summer and it continued to develop as the customer learned of our heavy haul and other capabilities,” says Steve Willford, Alaska West Express Project Manager in Fairbanks. The project included three oversized loads which required transfer to a shuttle barge in Bellingham (see above) and on to the mainline barge in Seattle for eventual delivery to Whittier and Valdez. “They were odd-ball pieces, over-dimensional and overweight – not easy to move over the road,” Steve says. Once they arrived in Valdez, Alaska West Express drivers Casey King, Andrew Wessels, Gary Ridall and Scott Vaughan (driving push truck) took over the delivery to the pump station. 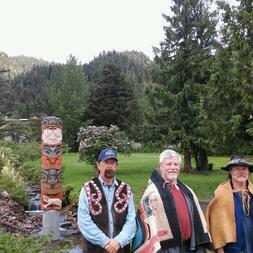 Jack Binder was the load supervisor for the Valdez shipments. Other loads arrived in Anchorage before the sailings stopped for the winter and were delivered by drivers Ken Seipel, Brian Ambrose and Del Shagen. Lynden is known for getting the job done and providing extra servic es when needed. 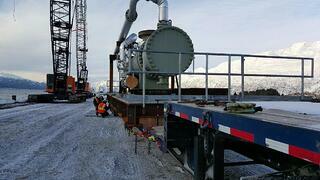 The final loads were delivered to the site when the installation contractor was on winter shutdown, so Alaska West Express arranged a jacking crew for unloading. Through careful coordination and planning, the arrival of the final loads was synchronized with the arrival of the jacking crew. 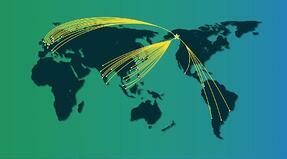 “When we pulled away from the site, the loads were up off the ground where the customer wanted them. We were happy to provide literally everything they required,” says Jack. After 30 years of service, Alaska Marine Lines’ Ketchikan barge ramp has moved to Petersburg. In its place is a new port cargo ramp constructed by Western Towboat. “We are excited to have a new ramp in Ketchikan and also happy to provide Petersburg with the first cargo ramp ever installed at that port,” says Southeast Alaska Marine Operations Manager Ricky Morgan. Removing the old ramp and installing the new one was a two-week process and included seven days of repairing and repainting the existing floatation tank system. Both ramps are 120 feet long and 24 feet wide. 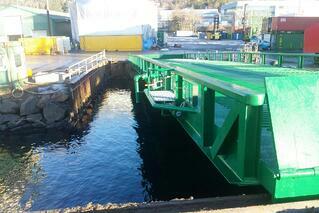 The Ketchikan ramp operates by an onshore air supply system which supplies air to a flotation tank bolted to the ramp. The beach end pivots at the abutment connection. “The new ramp has a refined and stronger barge end transition design,” Ricky explains. “The old design put the ramp surface about 16 inches above the barge deck when the ramp was set in place on the barge. This required an additional wedge transition piece to be set in place to allow forklift access.” The new design has closed that gap to only 4 inches and it features a small transition plate, fixed to the end of the ramp by a hinge. Petersburg’s ramp project was completed in April. The Petersburg crew is working on repairs and fabricating modifications to change it from a flotation support to an A-frame design. The ramp will also be sandblasted and painted. According to Ricky, the Petersburg operation has been a “pass/pass” operation for many years. “With the cargo ramp installation, we have to reconfigure the dock face pilings and install a pedestal and electrical system for the A-frame.” A large concrete abutment must also be installed to anchor the ramp into the beach. “Having a fully operational cargo ramp in Petersburg should greatly increase productivity and operational efficiencies,” he says. “People’s Tree” Visits Lake Union Park on Historic Journey from Alaska to Washington D.C.
For more than 50 years, a tree has graced the West Lawn of the U.S. Capitol for the holiday season. The Chugach National Forest in partnership with nonprofit Choose Outdoors is bringing the U.S. Capitol Christmas tree from Alaska to Washington, D.C. for the 2015 season, involving more than 10 communities along the way, including an appearance at Lake Union Park near the Museum of History and Industry (MOHAI) on Saturday, November 7 from 10:00 a.m. – 12:00 p.m. The tree was cut on Oct. 27 near Seward, Alaska, and prepared for the 4,000-mile expedition by land and sea. 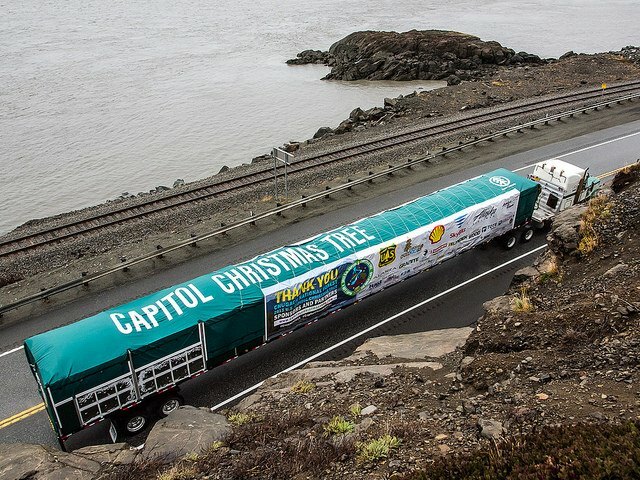 The tree left the Chugach National Forest driven by Lynden Transport’s nationally recognized driver John Schank and followed by a caravan of caretakers for the journey to the U.S. Capitol. Fifteen community celebrations are being planned throughout the tour, culminating with the official tree lighting in early December. Kenworth Trucks and Lynden Transport are two area-based sponsors supporting the 2015 U.S. Capitol Christmas Tree initiative. A specially decaled Kenworth T680 will transport this year’s U.S. Capitol Christmas Tree across the country with Lynden’s John Schank at the wheel. A 1924 Kenworth truck built at the company's first assembly plant in Seattle is on special loan from PACCAR and is on display at (MOHAI). Schank was recognized as the 2014 Driver of the Year by the Alaska Trucking Association (ATA) and received a letter of commendation from former Alaska Governor Sean Parnell for 37 years of accident-free driving over the treacherous Dalton Highway linking Fairbanks to Prudhoe Bay, Alaska. Schank has logged 5 million miles on the highway – more than any other driver in history. 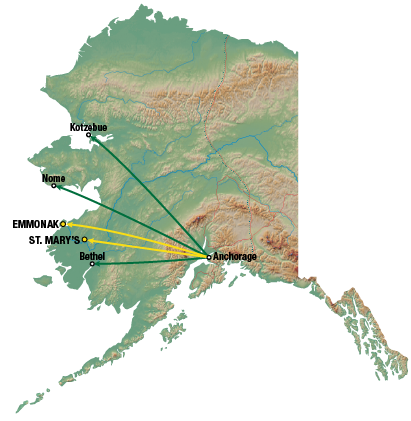 Associated costs are paid for in part by the U.S. Forest Service, while costs for the tree's transportation and special events are covered by in-kind services and donations from major 2015 supporters Lynden Transport, Shell, Alaska Airlines, Skybitz, Alaska Railroad, Alaska Crane, Granite Construction Company, ReThink Wood, Truckload Carriers Association, TOTE Maritime Alaska, Hale Trailer, Kenworth Truck Company and more. For more information on the Seattle tour stop, visit www.mohai.org. For related news, events and tour information, and to track the tree cross-country, visit www.capitolchristmastree.com. 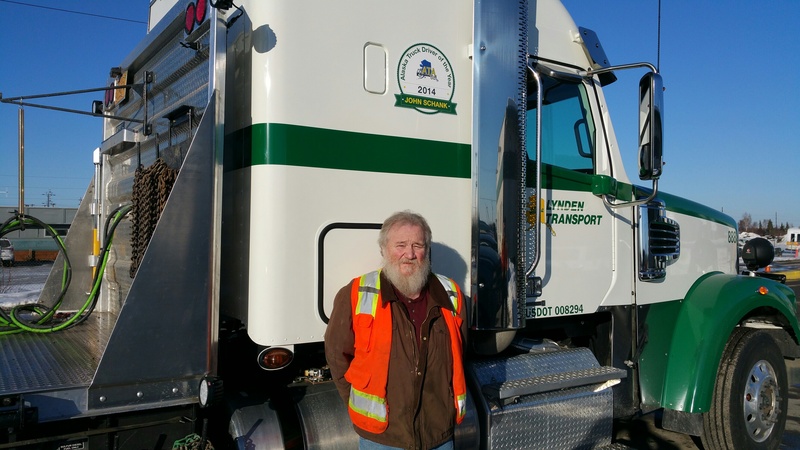 Lynden Transport Driver John Schank to Drive the 2015 U.S. Capitol Christmas Tree from Alaska to Washington, D.C.
For more than 50 years, a tree has graced the West Lawn of the U.S. Capitol for the holiday season. The Chugach National Forest in partnership with nonprofit Choose Outdoors will bring this special gift from Alaska to Washington, D.C. for the 2015 season with the help of Lynden Transport and its nationally recognized driver John Schank. 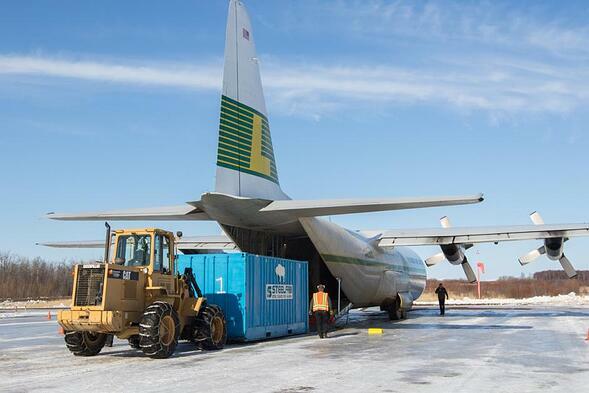 This is the first time the U.S. Capitol Christmas Tree will come from Alaska. The tree will be cut on Oct. 27 and begin its journey with a community celebration in Seward, Alaska before it is prepared for the 4,000-mile expedition by land and sea. With great fanfare, driver John Schank will leave the Chugach National Forest with the tree followed by a caravan of caretakers for the journey to the U.S. Capitol. Two community celebrations will take place in Anchorage at Cabela’s on Oct. 30 and Trick or Treat Street on Oct. 31. 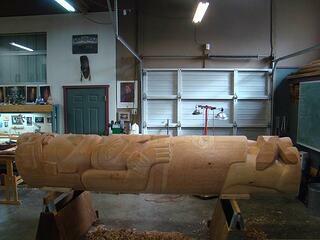 The tree will then be loaded onto a Totem Ocean Trailer Express (TOTE) ship for the journey to Seattle. The Seattle celebration and tour kickoff will take place at the Museum of History and Industry (MOHAI) on Sat., Nov. 7. Schank will drive the tree to the event before heading east on the first leg of the Lower 48 tour. Community celebrations are being planned along the way, culminating with the official tree lighting in early December. Lynden Transport is a major sponsor of the project along with in-kind services, donations and overall support both locally and nationwide from Shell Oil, Alaska Airlines, Skybitz, Alaska Railroad, Alaska Crane, Granite Construction Company, ReThink Wood, Truckload Carriers Association, TOTE Maritime Alaska, Hale Trailer, Kenworth Truck Company and others. For related news, events and tour information, and to track the tree cross-country, visit www.capitolchristmastree.com and on www.facebook.com/USCapitolChristmasTree.